We have two Arizona Cannabis Awards Events in Arizona a year. In January we hold the Errl Cup event that we go to dispensaries across Maricopa county and other parts of Arizona and secret shop them for flower they produce. To qualify to be secret shopped you must grow your own flower. If a dispensary grows their own flower we will go and buy their best flower they produce and allow the bud tender to make that choice of medication. The only part of the flower that we will know before walking into the dispensary is if we need to buy a Sativa, Indica or Hybrid. The rest of the decision is based on what the dispensaries bud tender choice is. 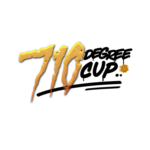 In July we hold the 710 Degree Cup event that we secret shop dispensaries in the Maricopa county and other parts of Arizona for their best concentrates they produce. If a dispensary produces their own concentrates they are qualified to be secret shopped. We allow the dispensaries bud tender to give us their best choice of medication. Our secret shopper only knows the the type of concentrate we will need, if that is a Indica, Sativa or Hybrid.